Kwik-Change™ cartridges connect and disconnect by a simple ¼-turn making cartridge changes quick, easy and more sanitary. 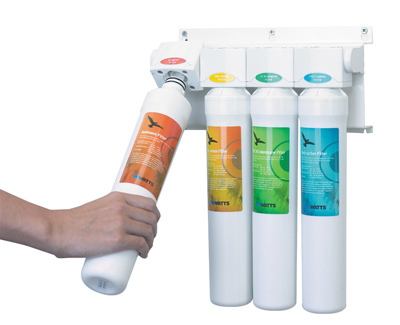 Unlike conventional reverse osmosis units, filter housings are not required, so there is no mess or fuss during cartridge replacement. 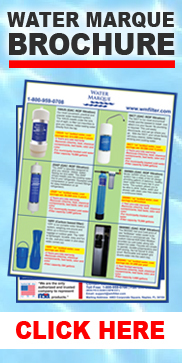 These systems are ideal for busy consumers that don't want to be bothered with complicated filter cartridge replacement procedures. Cartridges shut off automatically. No sumps! No mess! No fuss! *Please note this is not a WM Filter Product. If any questions or concerns in regards to this unit contact Watts directly.